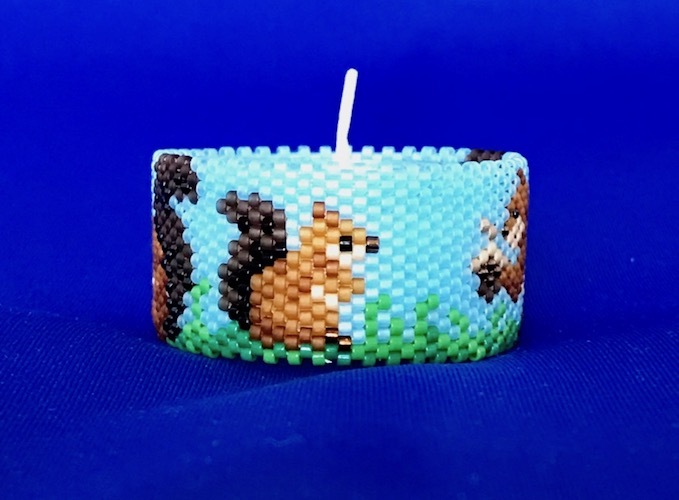 Decorate a clear plastic tea light candle with a band of peyote stitch beads. Included in this design is a pattern, and a chart of recommended Delica beads and symbols. All patterns are full color. 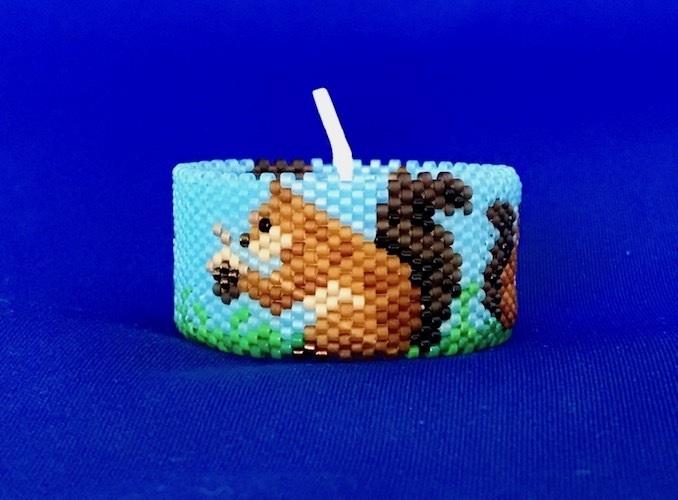 Pattern only, follow the directions for peyote round stitch in the FREE TEA LIGHT COVER INSTRUCTIONS - item #14429 on Sova-Enterprises.com. For safety, never leave a lighted candle unattended. Enjoy!